Dan has served as Pastor at Sans Souci Baptist Church since January 2017. Having completed his theological training at Morling College Dan has served and worked in a number of different ministries including Sport’s ministry and Youth and Young Adult ministries. 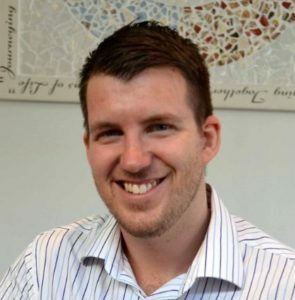 He has previously served as an Associate Pastor at Caringbah Baptist Church in Sydney’s South. Dan is married to Kellie, and they have two sons called Malachi and Jacob.